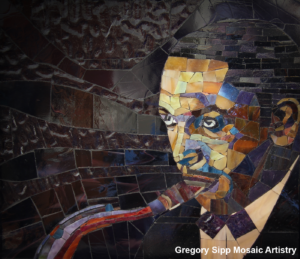 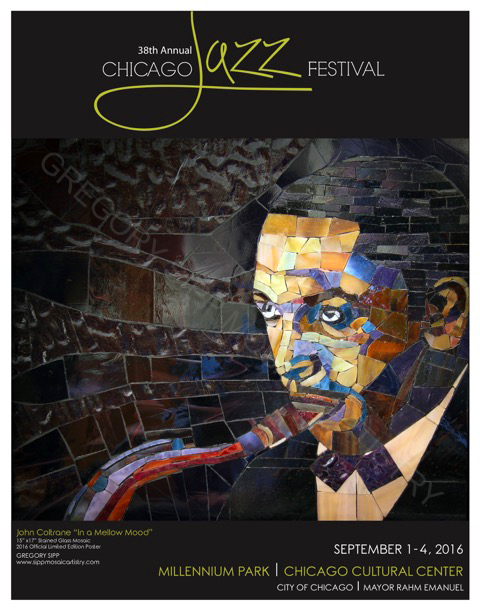 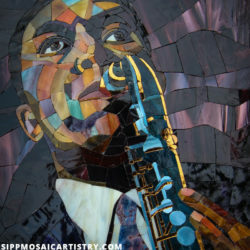 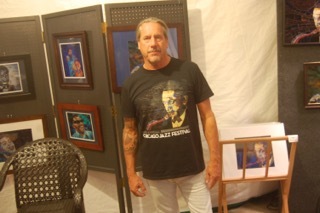 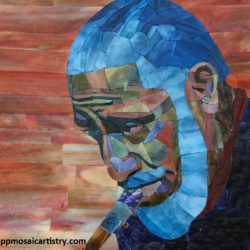 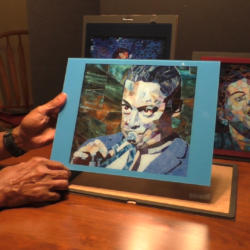 I was so proud to have my Mosaic “Coltrane In A Mello Mood” as the Featured Image at the Chicago Jazz Festival 2016 for the programs and T-shirts. 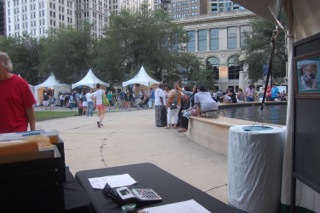 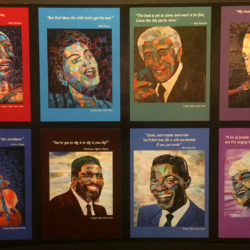 Here are some pictures from that great weekend of Jazz and Art. 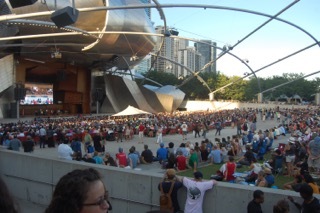 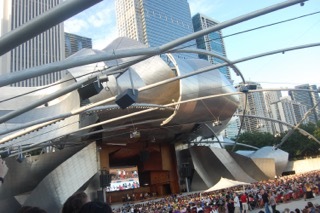 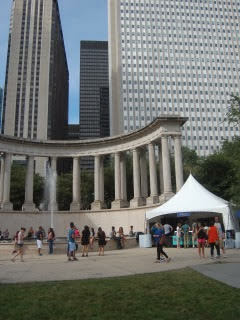 Known for its artistic creativity, the Chicago Jazz Festival is a favorite Labor Day Weekend tradition. 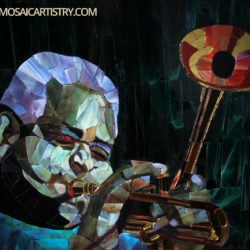 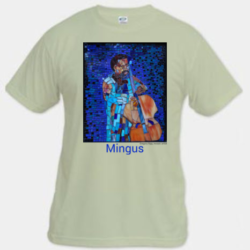 It promotes awareness and appreciation for all forms of jazz through free, quality live musical performance. 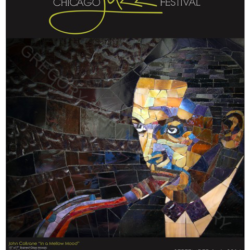 Since 1979, the festival’s mission is to showcase Chicago’s vast jazz talent alongside national and international artists to encourage and educate a jazz audience of all ages. 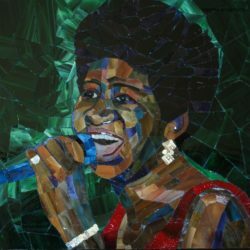 In April of 1970, Mahalia Jackson, often called the greatest gospel singer, returned to her hometown to appear at the first New Orleans Jazz & Heritage Festival. 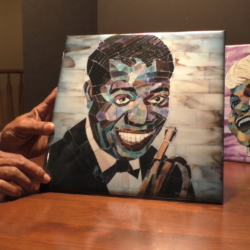 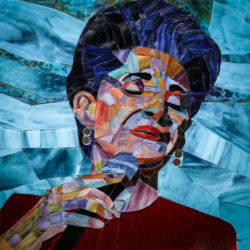 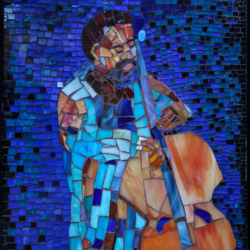 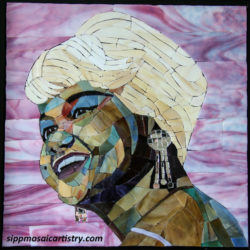 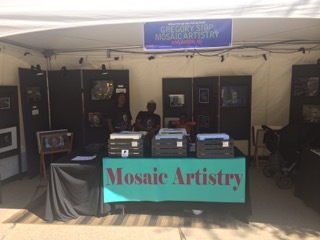 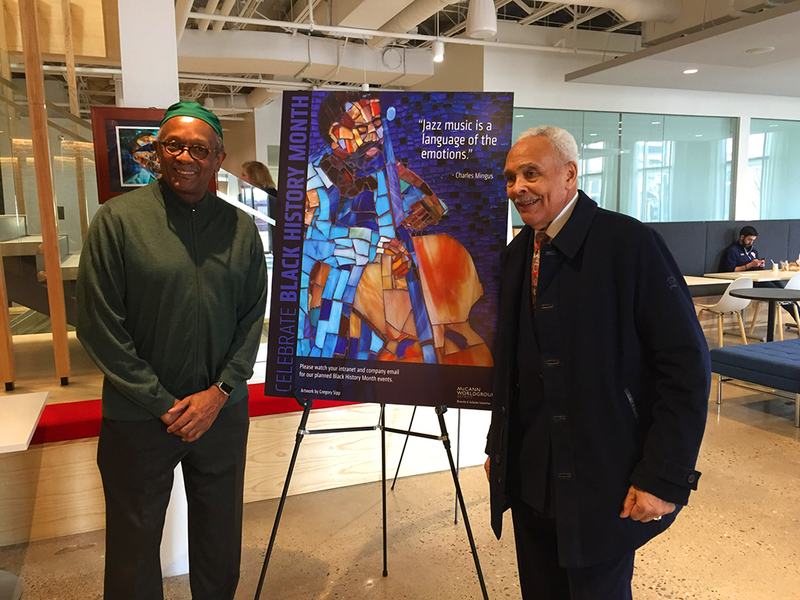 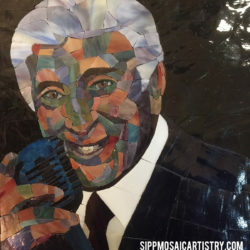 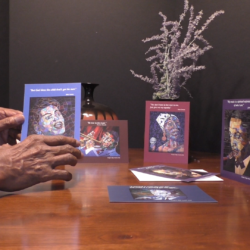 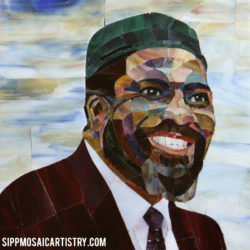 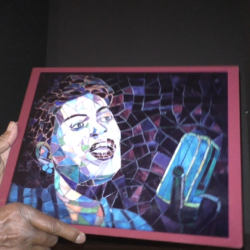 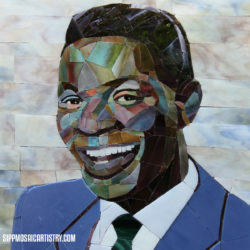 While attending the Louisiana Heritage Fair in Congo … Continue reading "New Orleans Jazz and Heritage Festival"
To celebrate the 40th anniversary, our hope was to be able to put together a festival that could look back on some of the great moments of Chicago jazz and in the festival’s history, but … Continue reading "Chicago Jazz Festival"
Gregory Sipp visits Universal Stained Glass. 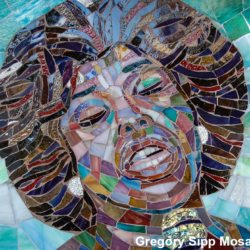 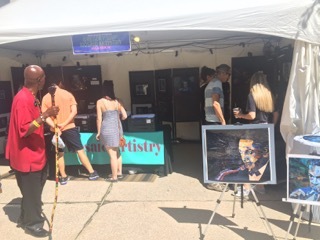 Greg Sipp, is in the 2018 Royal Oak Market: Art Fair Edition November 15-16, 2018. 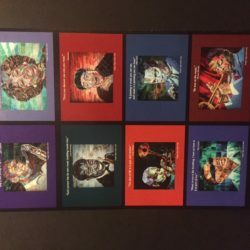 All of my prints are printed on metallic paper. 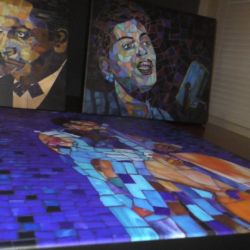 Metallic paper brings out the the reflective quality of the glass used in making the mosaic.